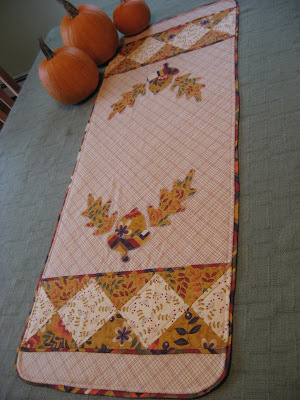 Hooked on Needles: Not Much Needlework This Weekend! The three garden beds got some much needed attention. The last bed still is loaded with strawberry plants which will stay there all winter. I gave the bed a little hair cut by trimming all the runners that had grown over the edges. Last year, that bed was only half strawberries, and on the left end there were a few tomato plants. So this year, there was still some room at that end and I planted some peas which were quite plentiful. We did notice later in the spring that a rogue tomato plant was growing up from the middle of the strawberries, so I let it go since the strawberries were close to being finished. It grew unbelievably huge and produced loads of cherry tomatoes. I spent a good deal of time this weekend picking out green and dropped tomatoes from among the strawberry plants so hopefully we won't have the same thing happen next year. Of course if we do, now I know it's best to pull them up before they take over! The middle bed was loaded with tomatoes this year, mostly sweet 100's which were so totally delicious, along with one red pepper and one yellow pepper. All those got pulled up and tossed over the hill and the trellises removed and put away for the winter. Then I got out my handy dandy sifter that I had made years ago out of 2 by 4s and some chicken wire and I sifted all the dirt in that bed to remove all the dropped tomatoes and other nasty stuff that ended up in the bed over the summer. I raked it smooth, all except for the one corner with the chive plant still going strong. I will cut those and freeze them to use over the winter and they will grow back bigger and stronger next year. In the first bed, the green bean plants were ready to come up and be put to their final rest, so they were all pulled up and tossed over the hill too. On the right side of this bed, you can see there are still some carrots in the ground. I'll pick those as I need them over the next few weeks until they are gone. The carrots did so well for us and were so delicious too! Who knew that a carrot fresh out of the ground could taste so different from the grocery store variety? That was a nice surprise! That bed got the shovel treatment, all the dirt turned over and then raked smooth. Now they are all ready for a long winter's nap before being put to work again in the spring to grow us another season of delicious fresh fruit and vegetables. If you like the looks of these raised planting beds, here is where we got the instructions for building them. The next job I tackled was the flower bed around the mailbox where we have two butterfly bushes, some daisies and some cone flowers growing. These plants are so perfect for us and for this spot because they love the sun and they don't need much attention to do well. They did great this summer which meant that they required quite a lot of cutting down to get ready for winter. Sometimes we don't cut the butterfly bushes down all the way, but they were so huge and unruly this summer that I decided to let them have a fresh start next spring and cut them back almost completely. And now we can see the mailbox! And poor George the mailman won't get attacked by the butterfly bush every time he tries to deliver the mail! That mailbox was a fun little project I painted about 5 years ago. I found the pattern in one of my craft books and just had to do it. It cost me the price of the mailbox from Home Depot and the cost of a few bottles of paint from Michael's, and it took me exactly the span of one of my then-newborn son's naptimes to do it from start to finish. Fun project! I also picked up and put away all my little outdoor critters that I had made in ceramics over the years and that come out to decorate our yard every spring. Of course you don't see them because they are resting comfortably in their box in the shed for the winter! But this is what's left...the pumpkins that my little ones picked out at the apple orchard a few weeks ago, and the beautiful red mum plant that my sister brought up from Pennsylvania when she visited a few months ago. It has bloomed so beautifully and really brightens up the front steps. Thanks Sarah! And before I finished for the day, I put out the new fall doormat I had picked up at our local Target off the clearance rack. I think we are ready for Fall! 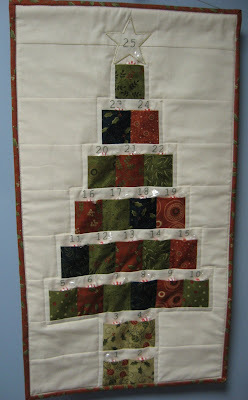 Myra's Criss-Cross Applesauce Mystery Quilt Project - if you love a mystery and quilting, check this out! Another Tote Bag - a Christmas gift for one of my sisters ... shhh ...don't tell! Some sewing for the school Holiday Fair from donated fabric that I haven't seen yet and the fair is in three weeks! Wish me luck! I did find lots of apron patterns I might look through to use up some of the fabric. Or perhaps I'll make lots of tote bags or other "Hold It" type of things using patterns from my favorite bag book. I'll have to wait and see what kind of fabric I get.